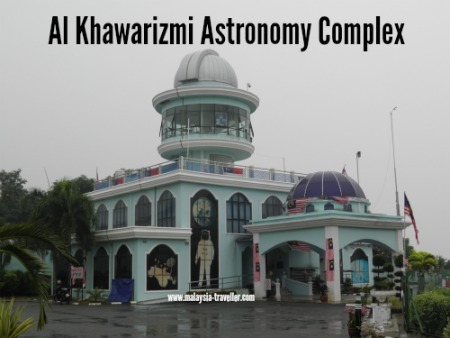 Al Khawarizmi Astronomy Complex is quite an unusual place. 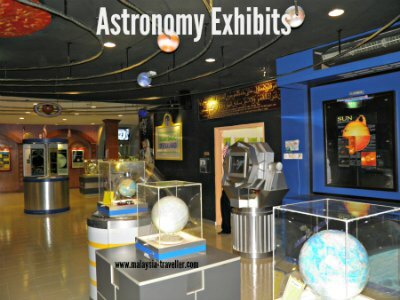 On the one hand it is an astronomy museum with an observatory and 3D theatre showing space related movies and planetarium shows. On the other hand it resembles a religious education centre with accommodation and training facilities. 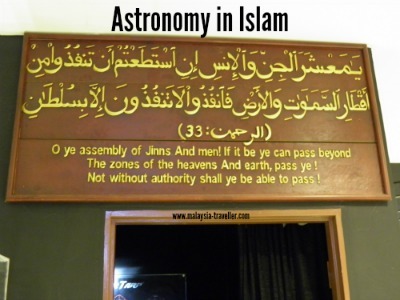 This is because the museum is run by the Melaka Mufti Department and the museum emphasises the role of astronomy in Islamic worship and life in general. 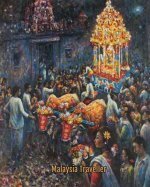 It explains how the movements of the stars and/or the cycle of the moon regulates prayer times, fasting, the Hajj, navigation and so on. 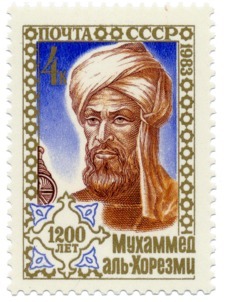 The Complex is named after Muḥammad ibn Musa al-Khwarizmi (c 780-850) an astronomer, mathematician and geographer who came from the province of Khwarizmi, now known as Khiva in modern-day Uzbekistan. He is sometimes known as the inventor of algebra and the word algorithm was named after him. In the field of astronomy he compiled tables for the movements of the sun, moon and the five plants which were known at the time. The museum’s exhibition hall contains information on him and other Islamic scholars such as Al Kindi and Al Sufi (most of the exhibits are labelled in Bahasa only). What’s inside the Exhibition Hall? 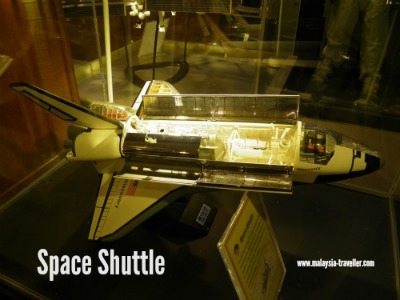 There are a number of space related exhibits inside such as models of the space shuttle, Saturn 5 rockets and the international space station. There are astronaut costumes, representations of the night sky, some typical science museum-type exhibits and distorted mirrors (not sure what the latter has to do with astronomy). 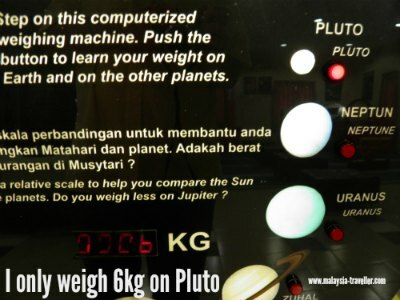 There is a weighing machine which tells you how much your weight would be on other planets - if you want to lose weight, move to Mars! Unfortunately the upper floors of the Complex where the observatory is located were closed for renovation during my visit so I was unable to see what telescopic equipment they have. This was also not working during my visit (maybe because they require a minimum of 10 people to screen a film). Not the world’s best museum but I’m sure younger children would find it informative. Need to understand Bahasa in order to read the exhibit information signs. Night sky observation from 8:00pm to 10:00pm. Visitors must arrive half an hour before program starts and are held on specific dates only. I have marked the exact location on the map on my Top Melaka Attractions page. Tanjung Bidara has a pleasant public beach located very close to Al Khawarizmi. There is a beach resort hotel here. Melaka city is a short drive away. 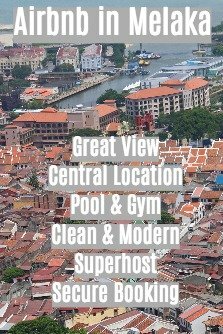 See my Top Melaka Attractions page for ideas.